The Discovering Career Options in Translational Science (DICOTS) Network supports postdocs and graduate students who are interested in exploring career options outside the traditional academic track, such as public policy, global health, industry, and regulatory affairs. Please join us at this info session to learn more about the DICOTS Network. Time commitment is estimated to be a few one-hour meetings per month. Applications for the next cohort will close Sept 15, 2017. To apply, email CV and brief cover letter explaining why you want to participate and your field(s) of interest to Terri Taylor at terri.taylor@duke.edu . In this informative session, Stacy Schnieber, MAHR, PHR, Director of HR for Camargo Pharmaceutical Services, will discuss what industry employers are looking for. Topics will include constructing your resume, maximizing your references, networking, and interviewing. Stacy will also discuss the Camargo Postdoctoral Internship Program, plus 3 currently open full-time positions at Camargo for PhD Research Scientists! For those interested in internship program and open positions, an informal chat with Stacy begins at 8:30; formal presentation begins at 9 am. *Please note: If you are a graduate student you are welcome to attend this info session. However, you are not eligible for the postdoctoral internship program. Camargo Pharmaceutical Services is a global strategist providing comprehensive drug development services specialized for the 505(b)(2) approval pathway and global equivalent processes. The Internship Program, now in its 5th year, is a 6-month, part-time, PAID internship based in Camargo’s Durham office. As a postdoctoral intern, you will gain invaluable experience with drug development strategy and regulatory affairs. Several Duke postdocs have gone on to full-time positions with Camargo after completing the internship! Greg Antell, Program Director for Insight Data Science Boston, will be leading a discussion on careers in data science and data engineering. Top companies are hiring data scientists and engineers to help find insights in the petabytes of data that they collect every day. Scientists and engineers from diverse fields, including physics, astronomy, computational biology, neuroscience, math, and statistics are playing key roles in transforming the way of working with data to impact our daily lives. The Insight Data Fellows Programs are tuition-free professional fellowships for students and postdocs looking to transition to careers in data science, health data science, data engineering, or artificial intelligence. Over the last 5 years, we have helped over 1000 postdocs and graduate students who are all now data scientists and engineers at over 200 leading data companies across the United States. In Boston, our programs have a focus on the healthcare industry. We have partnered with many industry leaders, including Merck, Biogen, Optum Labs, Novartis, Flatiron, Seven Bridges, and athenahealth, where alumni of our program are currently employed as data scientists and engineers. The session will include time for Q&A, and advice on preparation and resume building for those interested in transitioning to careers in data science and data engineering. Learn more at insightdatascience.com. Nader Halim, PhD, MPH, is Senior Director in Pfizer’s External Science & Innovation (ES&I) team and is a scientific liaison to academic intuitions, biotechnology companies, and venture capital firms in New York City and the Mid-Atlantic region. Nader received his PhD in Molecular and Cell Biology from the Uniformed Services University of the Health Sciences, and his MPH and MBA in Health Economics and management from the Johns Hopkins University. Previous to Pfizer, Nader worked at Genentech as Senior Market Planning Manager for Commercial Assessments, at Quintiles as Principal Consultant, at Avalare Health as Senior Manager, at Booz Allen Hamilton as Associate, and at NIH as Biologist. Nader will discuss how he made the leap from academia to industry, describe his job duties and what a typical day is like at Pfizer, and give first-hand advice to postdocs and grad students who are considering moving from academia to industry. Nader will also discuss potential options for partnering with industry. The presentation will run from approximately 9:30-10:30 am; afterwards Dr Halim will be happy to answer individual questions from postdocs and students. This session sponsored by Duke Clinical and Translational Science Institute, Graduate School, Postdoctoral Services, and Career Center. Laura Maurer is a former Duke postdoc who currently works at ExxonMobil Biomedical Sciences. Laura received her PhD and MPH in Toxicology from the University of Michigan. As a postdoc, she worked in the Meyer Lab of the Nicholas School of the Environment, where her projects involved the investigation of mitochondrial toxicity during silver nanoparticle exposure, utilizing C. elegans as an experimental model. 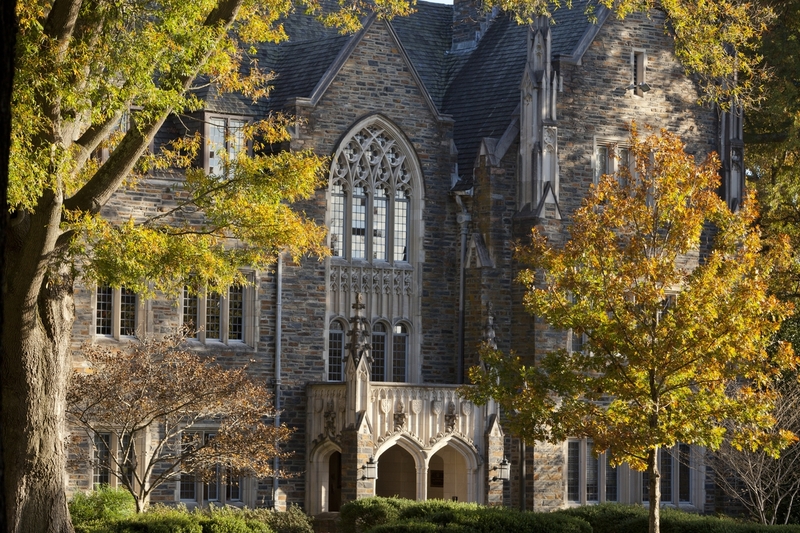 Laura was also the social chair and president of the Duke University Postdoctoral Association (DUPA). Laura will discuss how she made the leap from postdoc to industry scientist, describe her job duties and what a typical day is like at ExxonMobil, and give first-hand advice to postdocs and grad students who are considering moving from academia to industry. Laura also interviewed with and received offers from academic and governmental institutions while at Duke, and will discuss (and welcome questions on) her experience interviewing across three different sectors. Are you interested in a career in marketing, advertising, or MSL/MSA? Omnicom Health Group, the largest healthcare marketing and communications group in the world (representing clients including Bayer, Genentech, AstraZeneca, Johnson & Johnson), is recruiting PhDs and Postdoctoral Fellows for the class of 2018. The Omnicom Health Group Fellowship Program offers an opportunity for recent PhD, MD or PharmD graduates to explore multiple roles within the healthcare advertising industry. Specifically, the first year of the program consists of four-month-long rotations among the three main departments—Account, Copy, and Medical. In the second year, Fellows continue on as full members of their chosen department and serve as mentors to the newly arriving first year Fellows. – Working with clients in the Account rotation. – Creatively thinking of concepts and writing manuscripts for pharmaceutical supporting materials (ie, sales aids and educational pieces) for nurses/doctors in the Copy rotation. – Understanding clinical studies that support drug development, presenting scientific data to the team (laymen), and staying up-to-date with primary literature in the Medical Scientific Affairs rotation. Although we sometimes talk about Corporate America as if it’s one place, there are many different elements that form the environment and culture of US businesses. Every position within an organization carries its own perspective and introduces you to an entirely different experience. This talk will help you identify key skills and competencies that will help position you for a successful career launch and upward professional trajectory in the private sector. Sharon Anita Hill, President of Sharon Hill International, will facilitate a high-energy interactive session that will help you succeed in corporate America. Pizza will be provided; please bring a beverage to enjoy. Have you ever wondered how your personality preferences shape the way you interact with other people? If you prefer quiet time alone to interacting with a group, how do you respond when you’re assigned a team project? What if you like to be highly organized with checklists but colleagues prefer to fly by the seat of their pants? This interactive workshop will help you learn not only about your own behaviors and preferences but also how people with different personality types might perceive those behaviors and preferences, impacting your effectiveness as a leader, whether in the classroom or beyond. Using an assessment based on the Myers-Briggs Type Indicator, this workshop will help you apply your understanding to your interactions with others. Detailed instructions for the assessment available upon registration; all participants must register and complete the assessment by Tues Sept 19 at 5 pm. Do you work with faculty or colleagues from other cultures? Would you like to learn insights into communicating with them more effectively? In this workshop, you will learn the three major cultural communication styles and how your preferences might interact with those of the people you work with. You will gain concrete strategies to collaborate more effectively with colleagues from other cultures.The workshop will be led by Tim Flood, associate professor of management and corporate communication at the UNC Kenan-Flagler Business School. 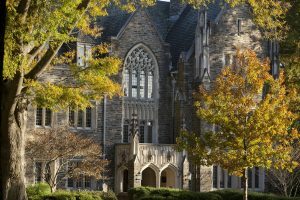 Priority registration for master’s students in The Graduate School through September 13; after that, PhD students and postdocs can fill the remaining seats. In preparation for the workshop, all registrants must complete a communication style assessment by Sept 20 (further details shared in your registration confirmation email). All registrants must agree to attend the workshop in order to receive access to the assessment. Pizza will be provided; please bring a beverage to enjoy. The single hardest part of the modern job search is getting an interview. The only predictable way to get an interview is through networking, but “networking” is frustratingly vague advice. How do you network, exactly? In this workshop, Fuqua career coach and The 2-Hour Job Search author Steve Dalton offers an exact process – rather than a series of tips – for effectively turning strangers into advocates, leading to more internal referrals and more job interviews. This session proposes an efficient alternative to hopelessly applying to online job postings by turning the difficult topic of networking into something finite and replicable. To create this process, Dalton drew upon the latest science ranging from behavioral economics to operations theory to social psychology to split networking into its three component parts: prioritization, outreach, and recruiting advocacy. Each will be discussed in turn to help job seekers harness free and simple technology to get the right job faster. This is a joint workshop with the Fuqua School of Business, Nicholas School of the Environment, Sanford School of Public Policy, Pratt School of Engineering, Graduate School, Career Services, and Postdoctoral Services. During your graduate school or postdoc career, you’ve become an expert at presenting in the conventions of your academic discipline for other academic researchers. But what should you change when you begin presenting your research in industry? In this workshop, Tim Flood, Associate Professor of Management Communication at Kenan-Flagler Business School, will share the expectations that MBAs and others in the business world hold for research presentations. This workshop will help you prepare and present your research to appeal to audiences in the US corporate world.